Trusts are a necessary evil. They can be very useful in particular circumstances but the legal rules and the taxation of trusts are both complicated and there is great potential for things to go wrong if a trust is not properly established, managed or terminated. 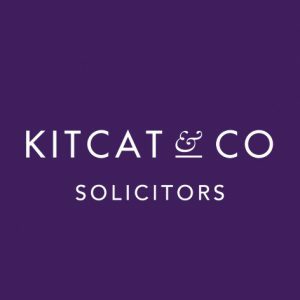 At Kitcat & Co we can discuss your needs to establish what type of trust, if any, suits your circumstances. We would usually advise in conjunction with an accountant so that all of the tax implications can be properly considered. If you have an accountant then we would be happy to liaise with them but otherwise we can recommend accountants with a proven track record. This is because although trusts can provide tax savings, they can also lead to unforeseen tax liabilities. The majority of the trusts that we draft are interest in possession (life interest), will trusts aimed at protecting a share in a family home. These trusts are effective in situations of a second marriage and providing protection in the context of care fees. If this is the type of trust that you are considering then please see our article here for more information. The other type of trusts that we draft are discretionary trusts. These are commonly used to protect a disabled beneficiary or somebody who is unable to deal with their own finances. These trusts can provide your trustees with a lot of flexibility when using their discretion to benefit a wider and less clearly defined group of potential beneficiaries. This additional fee applies to the first year of our involvement in a trust and covers the additional work involved in establishing the trust framework (in the case of a new trust) or reviewing the existing framework (in the case of an ongoing trust). This rate applies in years where our activity has been limited to monitoring correspondence and providing general advice to co-trustees and beneficiaries. 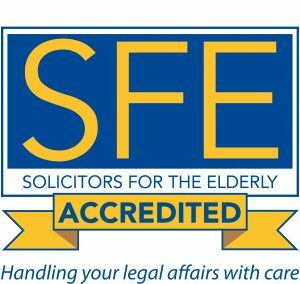 This rate applies in years where we have to actively manage funds on behalf of the trust or conduct other more specialist levels of work, such as preparing trust tax returns or deeds of retirement and appointment. It also covers situations where the trustees are required to exercise their discretion, but only at the annual trustees meeting. This rate applies to work done in the second and subsequent years of the trust that required the exercise of a trustee’s powers or discretion in respect of matters not agreed at the annual trustee’s meeting. Where it is possible to isolate the additional work generated, only this work will be charged at our hourly rate – all other work will remain covered by the Intermediate rate fee. However, where it is not possible to distinguish between the usual work and the additional work, the entire year will be charged for on a time basis.